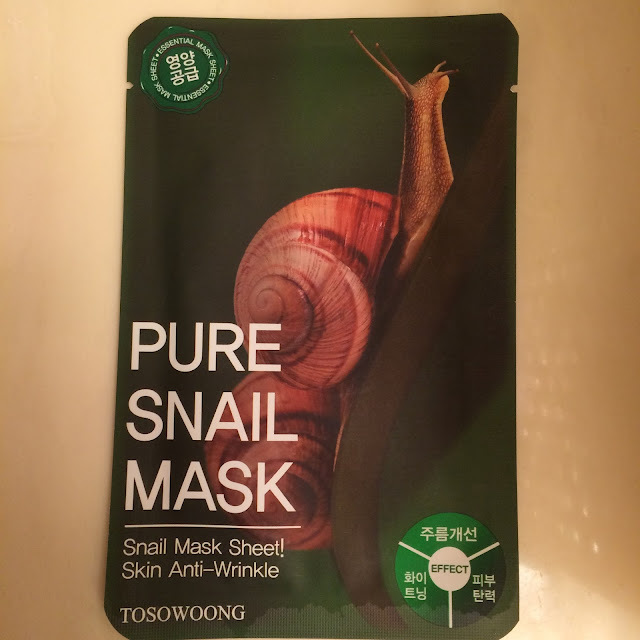 This mask was purchased by me from Memebox. 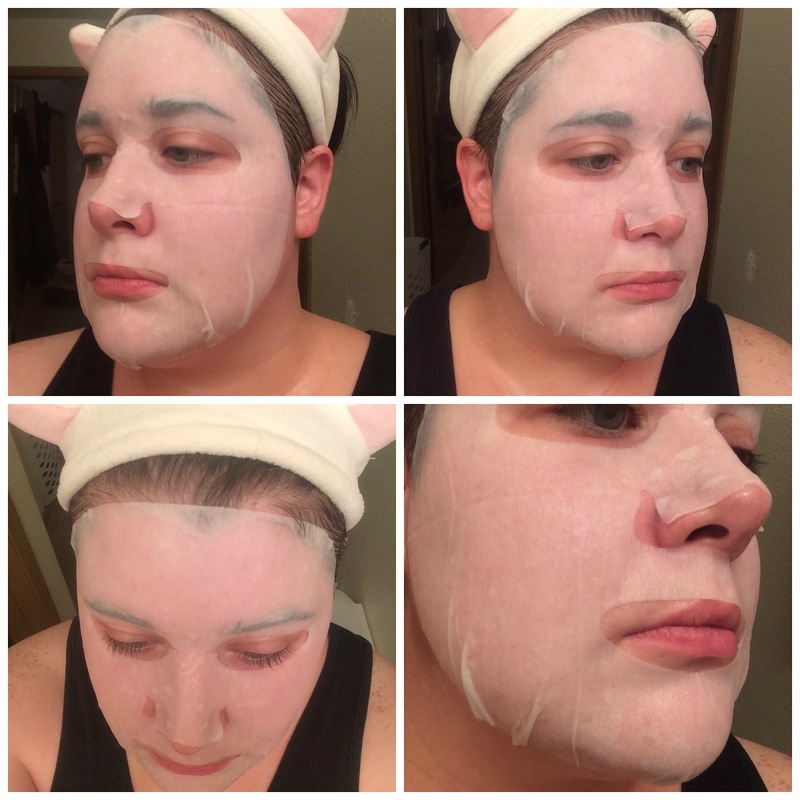 Directions: After cleansing and toning, place the mask onto the face and leave it for 15 to 20 minutes. After the allotted time, remove the mask and dispose properly. Pat the remaining essence to allow better absorption. My Skin: oily, dehydrated, acne-prone, hormonal cystic acne, sensitive to alcohol, mild anti-aging concerns. Performance: First of all, I want to point out the scent of this mask ~ it's been a long time since I used a mask that I could barely keep on my face because the scent was so strong, and the other Tosowoong masks I've tried so far really have been pleasant, but this... this was offensive... This mask smells like a decorative soap - you know the ones, that fake floral soapy smell. Yeah... Ick. Aside from the smell, the amount of essence in the mask is perfect ~ very wet but not dripping. The mask fits my face very well (like the other Tosowoong masks) and the mask lasted about 45 minutes before I had to take it off. The scent did disappear after a while, but I was stuck with a headache the remainder of the evening. 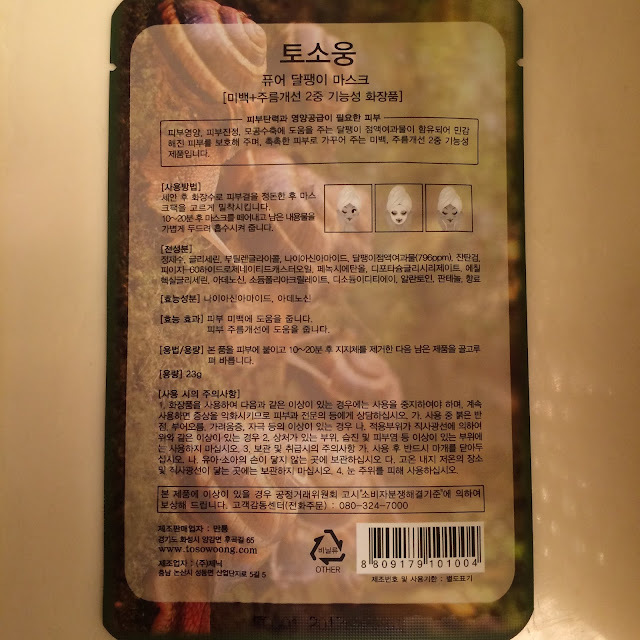 Verdict: This mask was lightly hydrating ~ I was able to follow with a thin layer of cream afterwards but I definitely couldn't have stopped my routine after this mask like I sometimes can with others. 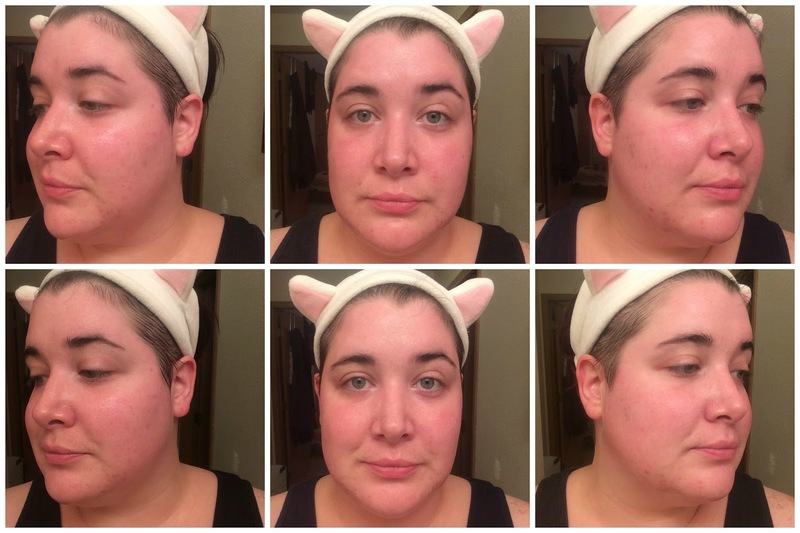 This mask was also brightening - which was surprising since this is an anti-wrinkle mask. My face did feel only slightly firmer afterwards, but because of the scent this is not a mask I will be repurchasing. At least it didn't smell like snails! I think you were brave to even try it, hahaha!